Office « Tech bytes for tea? 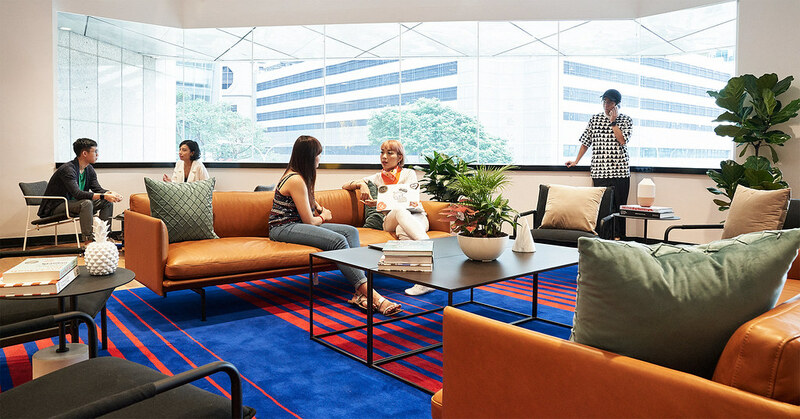 WeWork has launched in Singapore its first WeWork Labs in Southeast Asia. Located at WeWork City House, it will be followed by another in Bangkok by Q1 2019. Earlier this month, Japanese tech giant Softbank committed an additional US$3 billion to WeWork in a deal that values the office sharing company a valuation of around US$42 billion. Launched in early 2018 with locations in the U.S., Korea, Brazil, Israel, India and more, WeWork Labs is WeWork’s innovation platform for early-stage startups that takes an innovative and personalised approach to helping entrepreneurs succeed. Local partners and education institutions discussing the startup economy at the “Humanizing an Innovation Ecosystem” panel at the launch of WeWork Labs. From left: Turochas “T” Fuad, Managing Director, WeWork Southeast Asia; Adrian Tan, Head of Labs, WeWork Southeast Asia; Clarence Ti, Principal, Ngee Ann Polytechnic; Julian Lai-Hung, CEO and Founder, Blockpunk (WeWork Labs Member); Dennis List, Program Manager, Techstars. Coupled with WeWork’s global community of more than 320,000 members, WeWork Labs will serve as a hub for entrepreneurs and early-stage startups throughout Southeast Asia, providing members with access to custom programming, mentorships, investments, and educational resources to help grow their business. 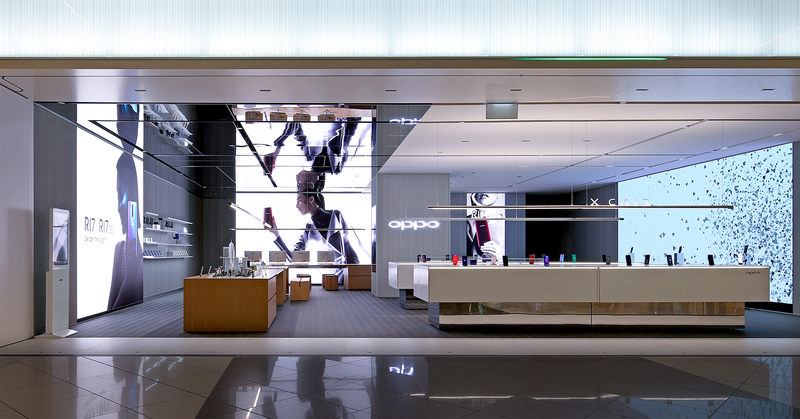 OPPO opens first overseas OPPO 3.0 concept store in Singapore outside of China. Opening promotions offers below. The other two stores in China are in Shanghai and Shenzhen. Launching on 17 of November 2018, the OPPO 3.0 flagship store opens its doors with a line-up of activities and promotions including a SuperVOOC challenge where customers have the chance of winning a R17 Pro. The OPPO 3.0 flagship store is located at the atrium on the ground floor between Towers 3 & 4 at Suntec City Mall. Customers who purchase OPPO products on that day will be able to receive free gifts from OPPO worth up to $238. The height-adjustable Omnidesk can be configured for either standing or sitting position and unclutters the desktop with cable trays, USB ports, monitor arms and mounted speakers. Basic setup starts from S$630. One desk to rule them all – Omnidesk from Aftershock PC. Homegrown Aftershock PC is best known for its highly customisable laptops and desktops, where users can choose individual components to meet their very specific needs. The founders of Aftershock PC are now bringing the same formula to the table top with the launch of Omnidesk. To start custom-building your personal work and play space, go to http://www.theomnidesk.com. 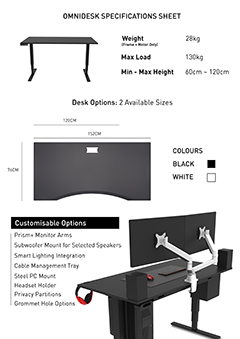 The Omnidesk is a motorised, height-adjustable desk, that is fully customisable for work and play. Start with selecting the size and shape of your desk. Then choose the finish: from solid bamboo wood, to spill-resistant laminate, or even a signature mouse-mat texture coating, which lets you use an optical mouse directly on its surface, without the need for a mousepad. All desks are height-adjustable at the push of a button through a silent, built-in motor. 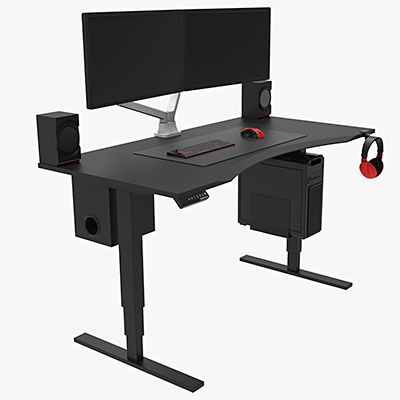 Save up to four preset heights to memory, so that you can easily set the desk to your preferred height for work, gaming, or Netflix-watching, without having to manually readjust it every time. There are also many desktop management options to customise the workspace of your dreams. StarHub supports Singapore’s Smart Nation vision with the new 58,000 sq ft Hubtricity (创星之城) in within STT MediaHub in one-north. It went fully operational in December 2016. “With Hubtricity, StarHub is investing in capabilities that will enable it to innovate and develop new digital products, services and solutions with partners across industries. 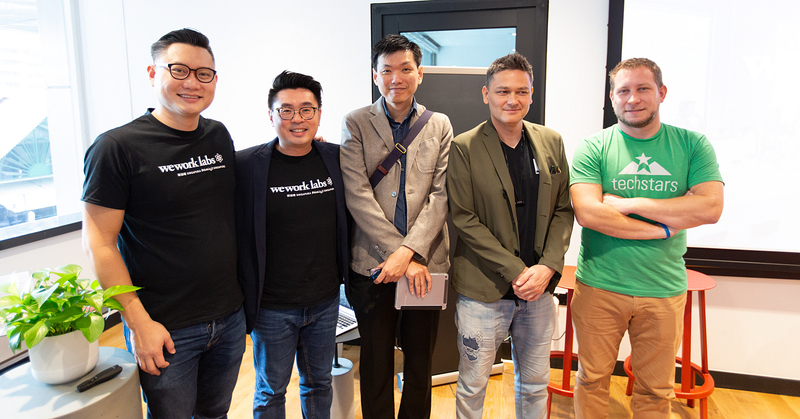 Hubtricity will add to Singapore’s position as the Digital Capital of Asia and will create exciting jobs in Singapore in areas such as cyber security and social media analytics,” said Kiren Kumar, assistant managing director at EDB. Photo credit: Cassie Fong, StarHub. The new facility acts as a foundation to accelerate service innovation and co-creation with partners and customers. 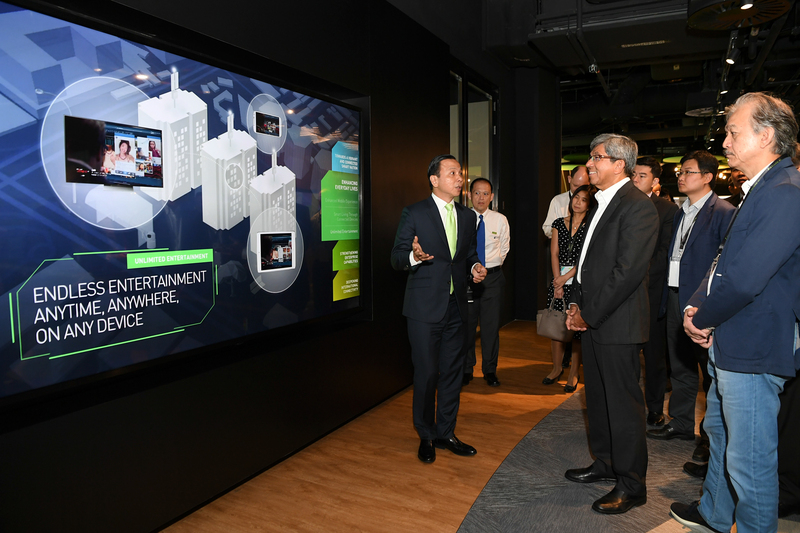 In so doing, StarHub hopes to transform Singapore into a vibrant and connected Smart Nation, enhancing people’s everyday lives, strengthening enterprise capabilities and deepening Singapore’s international connectivity. Acronis’ presence in Singapore has created new opportunities for local businesses and resulted in a triple-digit percentage growth of Acronis Cloud Business. The “A”-shaped table in the conference room of Acronis’ global HQ office in Singapore at Suntec Tower 3. Acronis, a global leader in hybrid cloud data protection celebrated the second anniversary of its Headquarters in Singapore, marking the two most successful years in the company’s history. “The digital world is all around us. Just like the world’s-first Smart Nation program in Singapore, Scuderia Toro Rosso fully depends on data. Our success on the track depends on data availability, making data protection a critical element in our business. We are proud to celebrate the two years since the re-opening of Acronis International Headquarters in Singapore, because much of Acronis’ cutting-edge technology is developed right here in their R&D center in Singapore,” said Scuderia Toro Rosso Team Principal Franz Tost. In July this year Acronis became the first Singaporean IT company to sponsor a Formula 1 team – the Scuderia Toro Rosso Team. Two years ago the members of the Scuderia Toro Rosso attended the opening ceremony as guests. Today Scuderia Toro Rosso shared the celebrations as a long-term partner and consumer of Acronis technology. Acronis was founded in Singapore in 2003. Since reopening the International Headquarters in Singapore two years ago, Acronis has invested heavily in building local capability through creating jobs, importing world-class talent to the Singapore-based R&D center, and forming lasting partnerships with local universities and the nation’s development agencies. In February this year Acronis announced the start of a joint collaboration with A*STAR’s Data Storage Institute, aimed at pushing the limits of data protection technology and cloud-based storage. Adyen’s new premises in Singapore will serve the company’s customers in the region. The expansion in Singapore is a result of Adyen’s continued momentum and commitment to the region. Adyen currently has three offices in the region, including Shanghai and Sydney. Adyen today announced its continued commitment to businesses in the region with the expansion and move to a new Singapore office. “Asia Pacific is the most active e-commerce market in the world and Adyen sees enormous potential to enable e-commerce and omni-channel businesses in this region,” said Warren Hayashi, President, Asia Pacific at Adyen. The office in Singapore will remain as a regional headquarters for the payment solutions company as it increases its presence in Asia Pacific. Located in the heart of Singapore’s Central Business District, the close to 500 square meters’ office space will provide modern end-to-end payment infrastructure for leading global companies. Adyen has been empowering businesses such as Cathay Pacific, Daniel Wellington and Spotify with the ability to accept a variety of payment methods from consumers in Asia Pacific, including local and alternative payment methods. Targeted at driving business growth in the region, the US$1 million innovation hub will serve as a test bed for advanced networking & communication solutions to empower businesses in the region. Tour of the new Innovation Facility in the Alcatel-Lucent Enterprise office in Singapore. Singapore ALE Pte Ltd today announced the opening of its new office and innovation facility in Singapore – one year after ALE separated from parent company Alcatel-Lucent in October 2014. “ALE was searching for a solid ground to establish its innovation hub in the region. With Singapore investing heavily in Information and Communication Technology (ICT) and amidst plans to become the world’s first smart nation, we saw this country as a natural fit for us to set up base,” said Matthieu Destot, Vice-President of Sales, Asia Pacific, ALE. The new office and innovation facility will provide ALE new opportunities to deliver specialised solutions tailored to the Asia Pacific region. As part of ALE’s commitment to innovation, an investment of US$1 million was invested into creating the research and testing facility in Singapore. The innovation facility will serve as a prime test bed for ALE’s latest networking and communications solutions, aimed at delivering the personalised connected experience to empower businesses in the region for success. The new office and innovation facility is located in the TechnoPark @ Chai Chee. This centre is equipped to accomplish the following.